Do you want to sell your products in other countries? Do you know the right thing to say? The wrong thing? 13 is unlucky in the US. What country considers 4 unlucky where you should never pack things in 4? Learn more about culturally correct content. Learn more about culturally correct images. Our culture strongly impacts how we respond to a marketing message: what spurs us into action to buy. What triggers a response in us turns away people in other cultures. Taking your business global is easier than you think. The world is ours. Geographic boundaries pose no limits for doing business. Distance throws no hurdles in our path to communicate well, write clearly and deliver on time. You need to understand and respect the business practices of your target country. With respect comes trust. The only limitation is your mindset. 4.5% of the world’s population live in the U.S.: reach out to the other 95.5%. 5.5% of the world’s population are native English speakers: the other 94.5% are waiting to hear from you. 5.1% of the world’s population are native Spanish speakers. 21 countries rank Spanish as their principal language. 44.3 million people in the U.S.have Hispanic or Latino origin. Reach out to people in your community, your state, your country. Reach out to those whose cultural identity and language are closely tied to another country—just as ours were not so very long ago. Let me take your product message and refocus it slightly, so they believe you are talking to them. 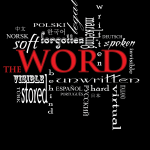 Get Your Free Copy: "Ten Key Elements of The Word". Copyright © 2019 Copywriter Without Borders. All rights reserved. Get Pro Framework.